Nigel (Avening, United Kingdom) on 2 June 2012 in Landscape & Rural and Portfolio. very nice & so beautiful! 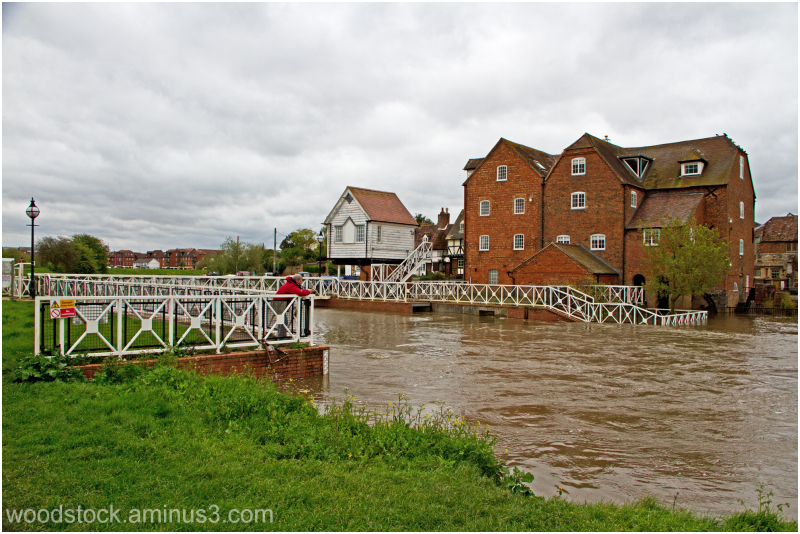 Nice image Nige, shame for Tewkesbury they had floods a couple of days later. It was a great day and loads of photo ops, I hope I'm not too conspicuous with the red jacket ! Eau boueuse! Orage en amont ! Très bel endroit!! oui on voit qu'il y a eu de l'orage!!! !Très belle compo!!! That river is looking dangerously high after the recent weeks of rain. est-ce un moulin qui n'est plus en activité???? Beautiful! That water is really high! Great shot of Doug! Looks not very comfortable to live so close to that flooding water..beautiful captured ! Wow, those houses are literally "on the water" - what a cute little town! Nice shot! looks like a lot of water here! love the white fences contrasting with the buildings! das sieht nach Hochwasser aus. Schöne Aufnahme. Very nice capture. Well done !!! Exciting to see this high water, but perhaps not if you live nearby. A nice shot though. That looks like some serious flooding. Nice capture. Is that Doug I spot getting a close up of the water. Great to have a photo pal to get out and about with.